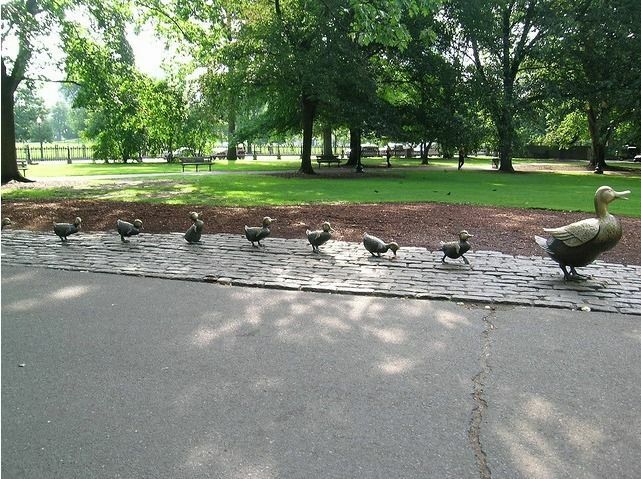 Public Garden Monument Walking Tour is a 1.1 mile moderately trafficked loop trail located near Boston, Massachusetts that features a lake and is good for all skill levels. The trail offers a number of activity options and is best used from April until October. Dogs are also able to use this trail. 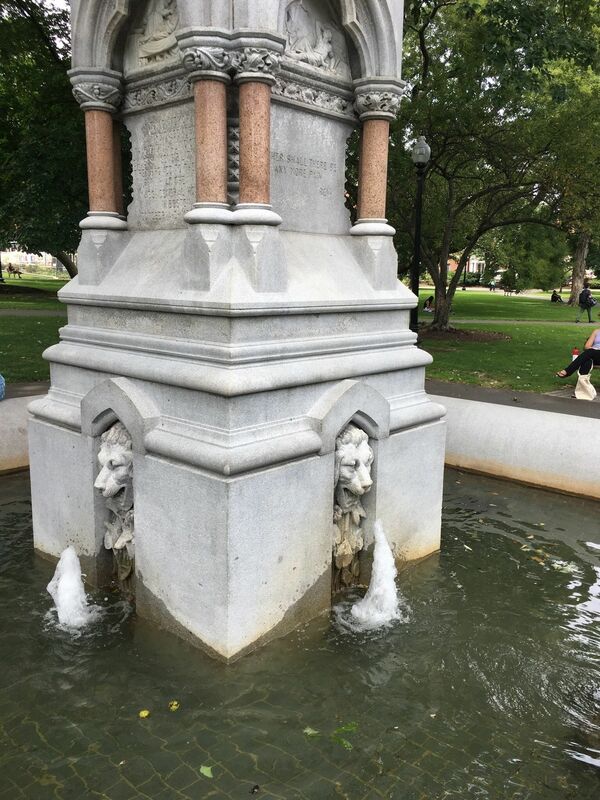 This fountain is a nice break from all the historical figures you will find on this walk. This statue commemorates the first president as the leader of the United States and commander-in-chief of the Army. This monument commemorates more than 200 people who had ties to Massachusetts who died in the Sept. 11, 2001, terrorist attacks. Channing was one of the country's foremost Unitarian ministers. Sumner was an outspoken abolitionist who opposed compromising on anything with the South before the Civil War. The Polish-Lithuaninan immigrant became an American military hero in the Continental Army during the Revolutionary War. Cass was an Irish immigrant who founded the Fighting Ninth Regiment of volunteers during the Civil War. The Boston lawyer was a famous abolitionist during the Civil War. 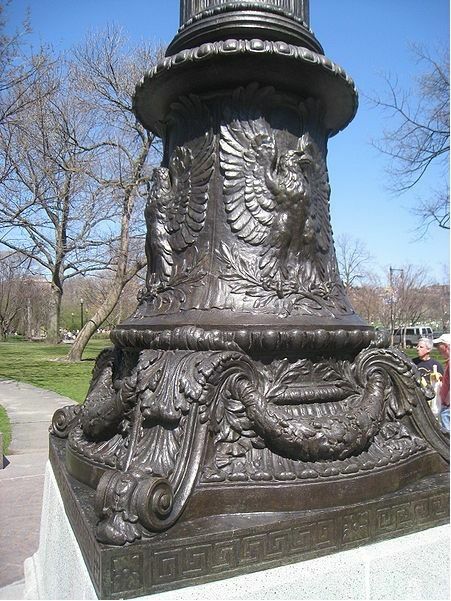 Adorned with great eagles and surrounded by benches, this memorial honors Goody, who was chairman of the Boston Art Commission and friend of the Public Garden as well as a Massachusetts Institute of Technology professor. This sculpture is inspired the panther in the famous book, "The Jungle Book." Hale was a writer and another Unitarian minister who edited the Boston Daily Advertiser. This fountain is named after the sea god Poseidon. This is the most adorable bronze art in the whole garden. 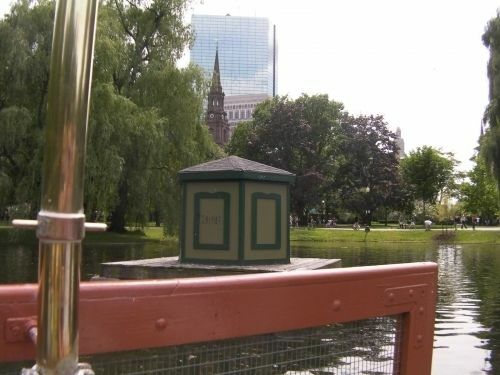 It was created in 1987 to celebrate the 150th anniversary of the Public Garden and is inspired by the book of the same name. 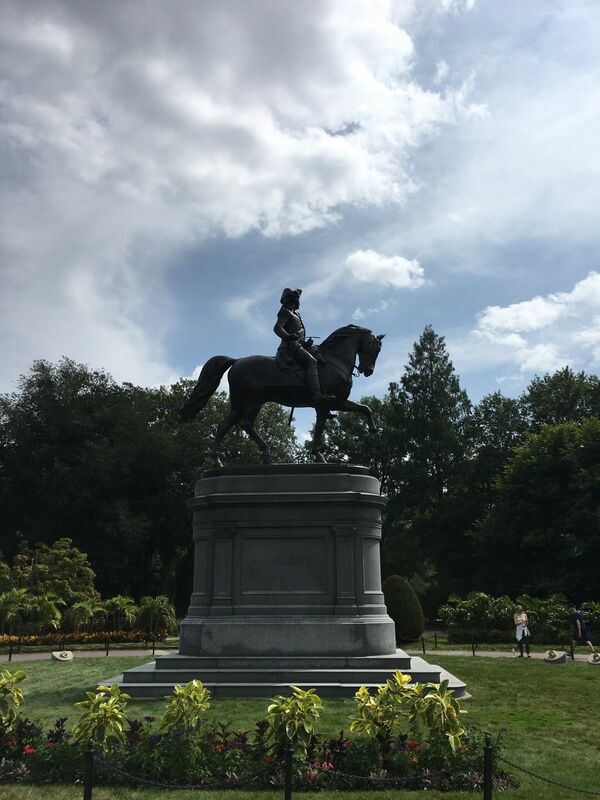 This statue stands at the edge of a fountain to honor one of Boston's most famous philanthropists. This is a tall (40 feet) monument that commemorates the use of ether as an anesthetic. 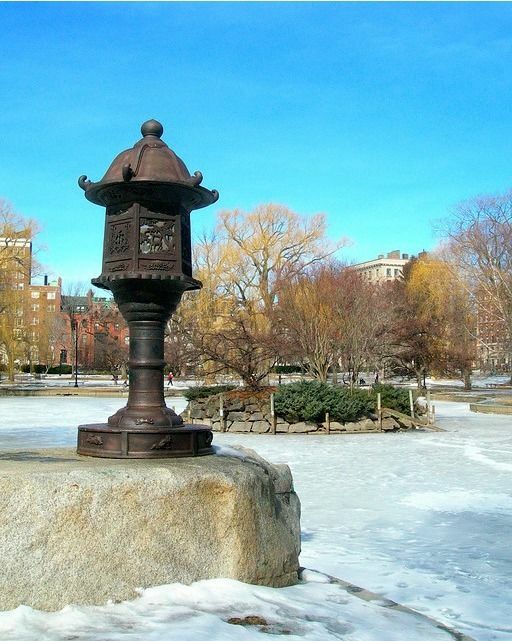 Although created in 1587, the lantern was given as a gift to Boston in 1904. 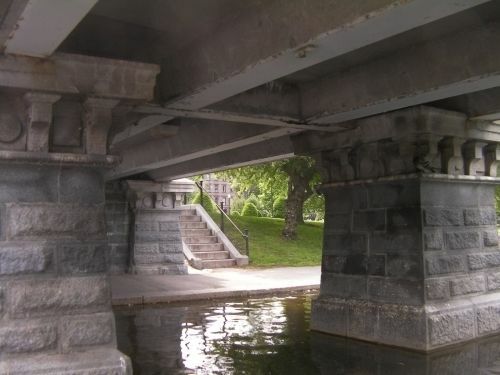 This beautiful foot bridge crosses the pond. 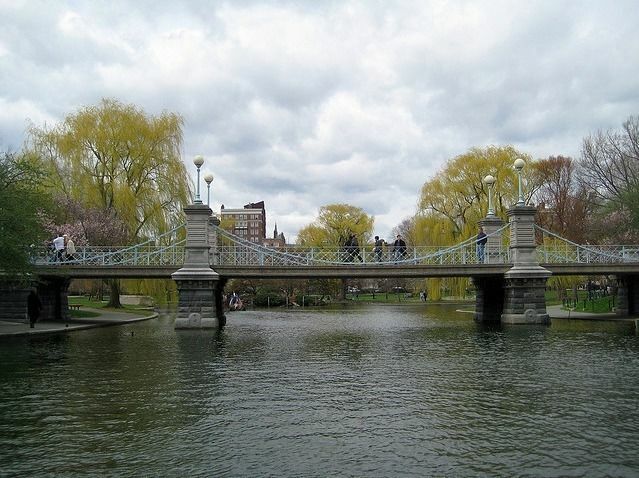 Take a moment in the middle to gaze around and take in the peace of the Public Garden. 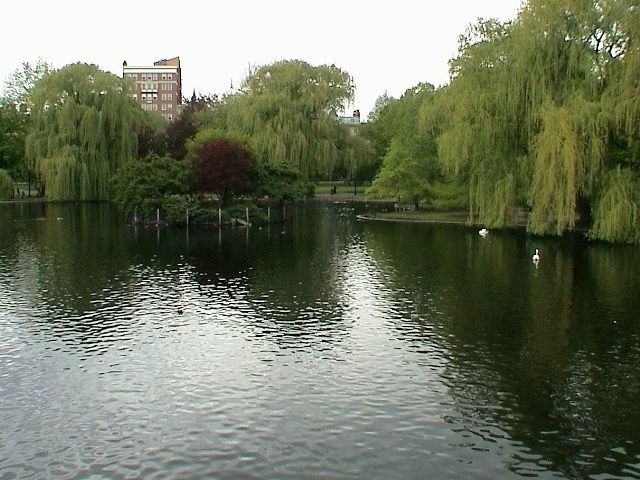 The Public Garden is located in downtown Boston. The easiest way to get there is to park outside the city at a T Station and take the Arlington Station exit next to the garden. Small Child Fountain Info http://www.publicartboston.com/content/small-child-fountain George Washington Monument Info http://www.publicartboston.com/content/george-washington 9/11 Memorial Info http://www.publicartboston.com/content/garden-rememberance-911-memorial William Ellery Channing Monument Info http://www.publicartboston.com/content/william-ellery-channing Charles Sumner Monument Info http://www.publicartboston.com/content/charles-sumner Tadeusz Kasociuszko Monument Info http://www.publicartboston.com/content/tadeusz-kasociuszko Colonel Thomas Cass Monument Info http://www.publicartboston.com/content/colonel-thomas-cass Wendell Phillips Monument Info http://www.publicartboston.com/content/wendell-phillips Flagpole Base & Marvin E. Goody Memorial Info http://www.publicartboston.com/content/flagpole-base-and-marvin-e-goody-memorial Bagheera Fountain Artist Information http://www.publicartboston.com/content/bagheera-fountain Edward Everett Hale Monument Info http://www. 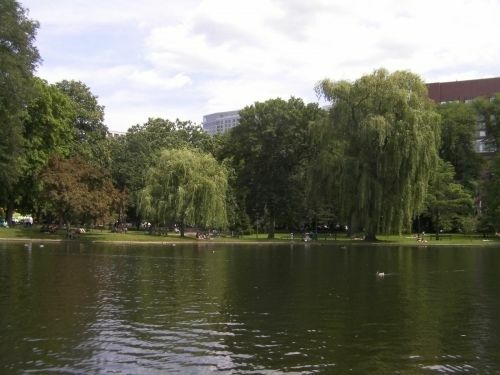 Boston Common is America’s oldest public park, and the Public Garden...the first public botanical garden. 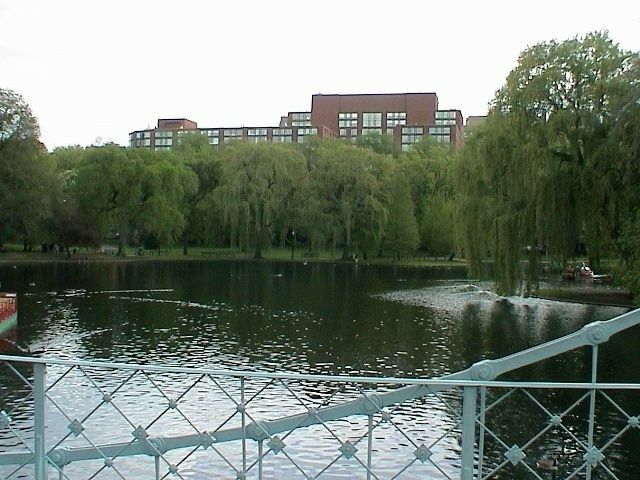 While living in the Boston suburbs as a child, I visited it with my family several times, usually during the spring when much of it was in bloom. I have also enjoyed returning as an adult during trips back to the city. Of course, riding the Swan Boats in the Lagoon was always a highlight in my younger days.